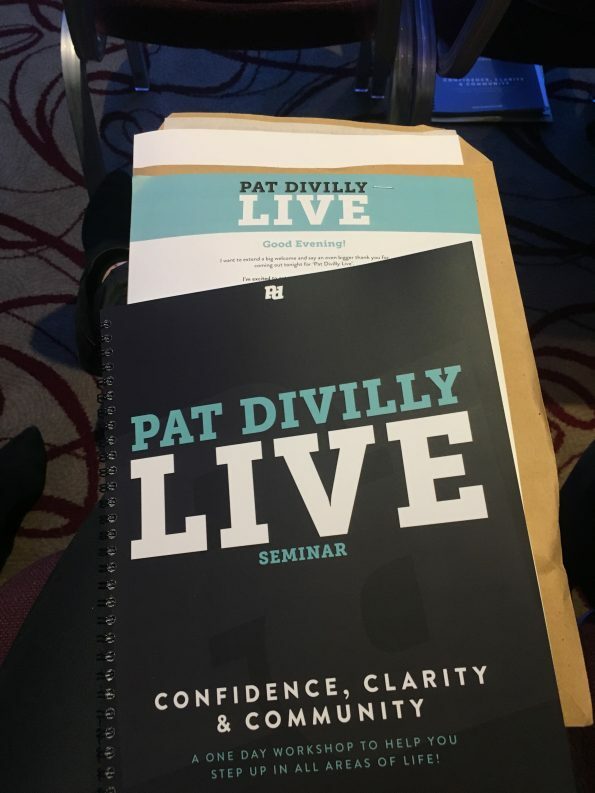 Yesterday I attended my first seminar with Pat Divilly. 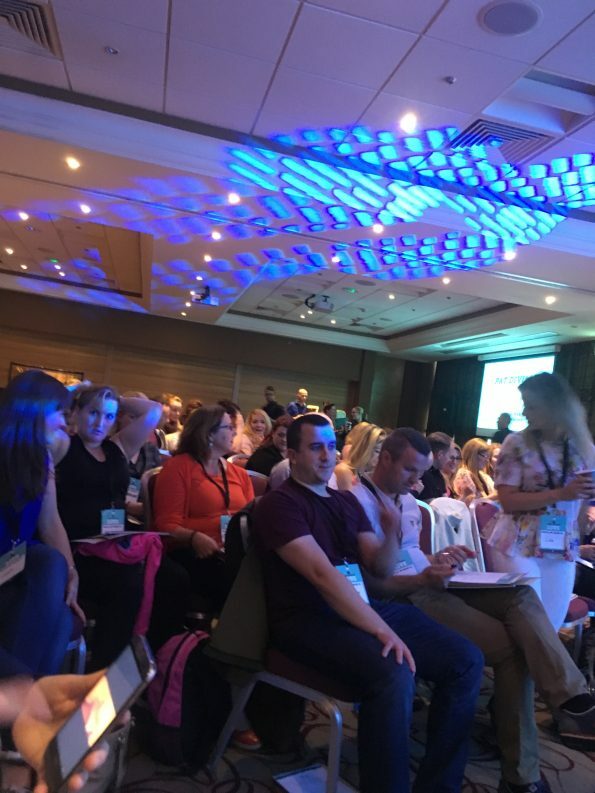 I had first heard of Pat when he spoke at the Gary Vaynerchuk Dublin event in March. 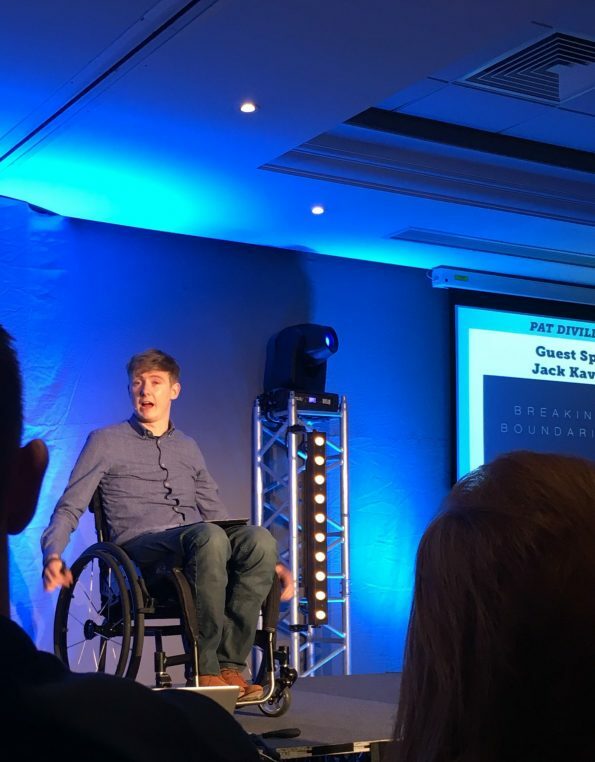 I remember being so impressed with Pat’s talk and left feeling truly inspired by him. 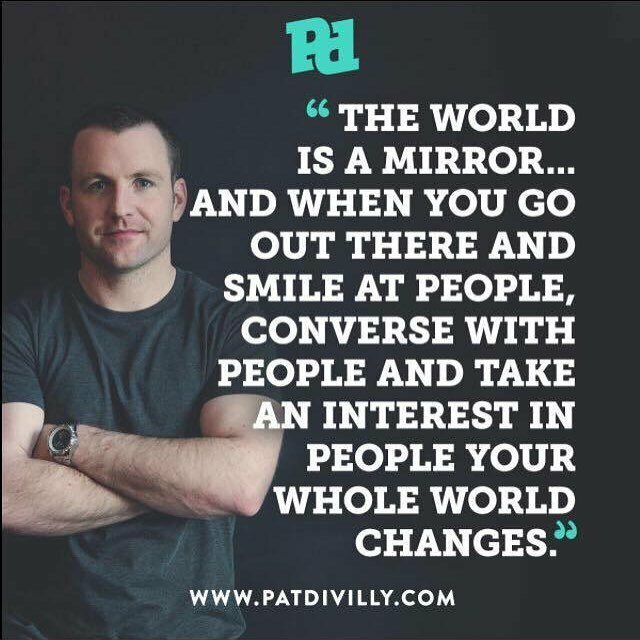 I’ve been following him on Instagram and Twitter (@patdivilly) ever since and enjoy seeing the daily motivation quotes he posts. When I saw he was coming to Dublin to hold a three-hour evening event I knew I had to go. I didn’t really know what to expect as I knew this seminar would be a bit different to his short talk. Truthfully it was not what I expected at all. Maybe I wouldn’t have gone if I’d known in advance the topics we would cover and the exercises we would have to do. I certainly don’t think the two lads in front of me would have come if they had known. It’s the type of thing I’ve always wanted to do but never actually saw myself committing to in fear of how I might feel. But I left feeling great (A little emotionally drained, but great). And even those two lads who I had had a bet with myself on the chances of them walking out, stayed to the end and thanked Pat afterwards. 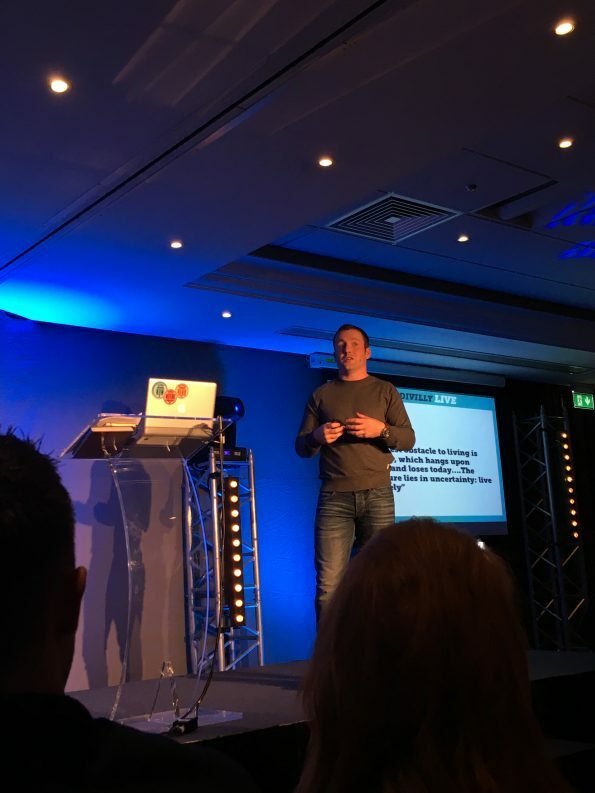 Pat’s seminar gives you guidance and inspiration towards making tiny little changes (turning the dial, not flipping the switch) in your life over time that will eventually be enough to make you a happy fulfilled person. Whether it’s taking to someone you’ve drifted away from to leaving the job your unhappy in to pursue your passion. This year and in particular the last two months, almost every day we have heard devastating news and watched horrific events occur across the world. Many of these events have really shaken us and made us think about how fragile life is. We read quotes on Instagram and on the internet that remind us life is short. We make little promises to ourselves to make the most of our time. But how many people actually make any changes? Many are afraid of not being “cool” (and yes I have been guilty of this, it took way longer than it should have for me to start the blog I always wanted to write). Afraid to talk about certain feelings and do certain things, open up too much and become vulnerable. 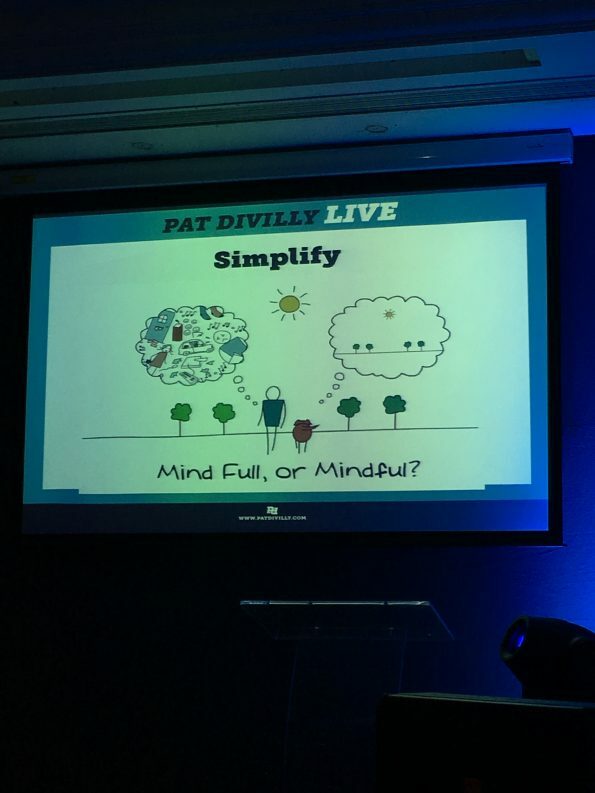 By attending Pat’s seminar, I unknowingly forced myself into scheduling three hours of my day for meditation and mindfulness. Something I have never and most likely would never do. It’s not joining a cult for the afternoon. Pat is far from preachy. He talks like a real person to real people. Most of what he says is common sense and information we already know. But when you actually have someone standing in front of you talking about this stuff, when you’ve decided to go to a venue and sit in an audience with nothing to do other than listen, you really start it take it in and think. Look at this graph. What does this usually represent when the line falls straight…. Why would we ever want to follow a straight path in life? He explained each one with his own personal experiences and the experiences of others. He would read out quotes and tell stories. Then, it would be our turn to think about our experiences and feelings. We were each given a work book and three pieces of paper. In the work book he asked us to fill out the different sections relating to each of the C’s. We were also given three blank pieces of paper to be used for writing three letters. I’m purposely not going into much detail on these exercises. I think everyone will have a different take from them and it’s also better to do these things on the spot without prior knowledge. 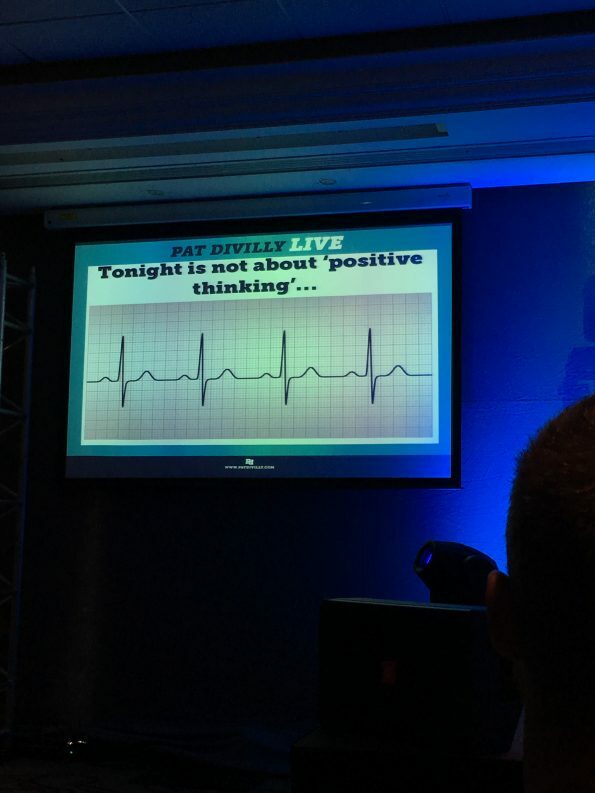 The seminar gives you the chance to reflect and think about the things that make you happy. It inspires you to make positive changes in your life and so clearly explains why you should live your life for you and only do what will make YOU happy. It reminds us life is short and to make the most of it. 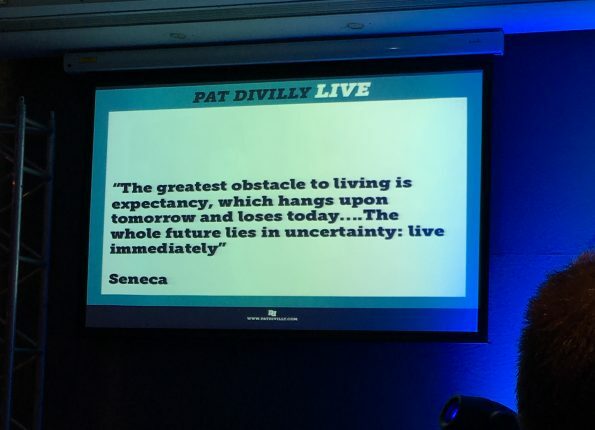 If your feeling stuck in a rut, going through that midlife or quarter life crisis then Pat’s seminars and talks will help you see things clearer. The audience is full of very normal people, 20’s +, male and female. 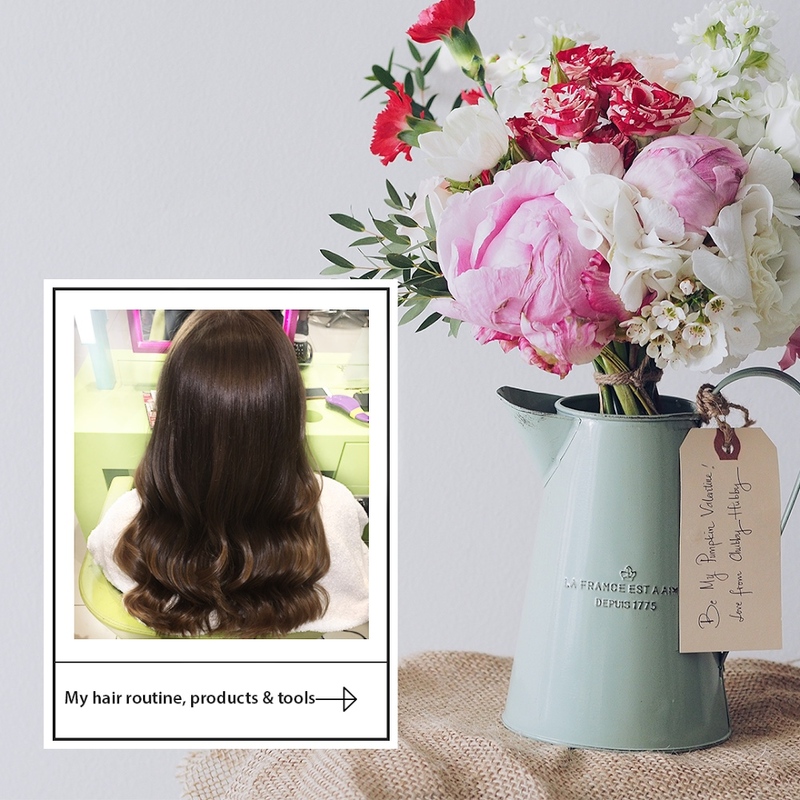 People are with friends but a lot go alone (like I did and would maybe recommend). Like I said, if I’d known too much about Pat’s seminar I might not have gone. But I’m so thankful I did and will encourage everyone I know from my parents to my friends to give it a go. Three hours of your life. What’s the worst that can happen? How to tackle the limiting beliefs and stories that are keeping you stuck. Explore the human needs that are currently driving you and how this can help or hold you back. Learn about and utilise meditation for improved clarity, focus and productivity. Learn how to improve relationships with loved ones. Learn the time management strategies of the world’s most successful people. Find new income streams within your current business or ways of moving forward in your current business. It’s that, but it’s also a lot more. 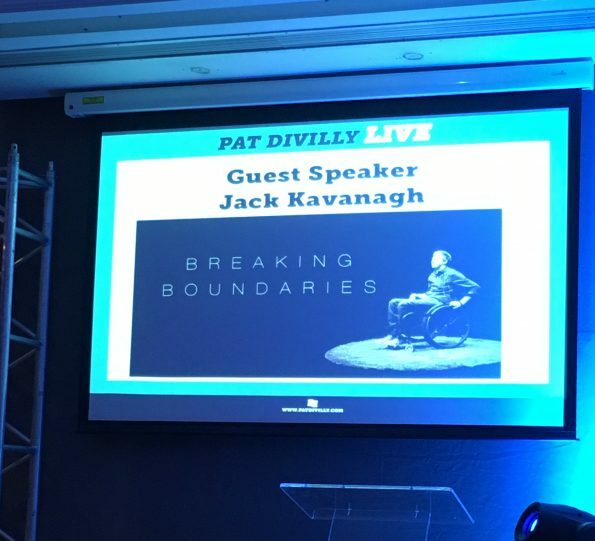 I’d also like to mention Jack Kavanagh who was a special guest on the night. Jack took to the stage for a half hour and spoke about the up’s and downs in his life. Being a normal guy to being a guy in a wheel chair to becoming a normal guy again. His new documentary which follows his travels around America with his best friend will air next Monday, August 1st on 3e. I can’t wait to give it a watch! 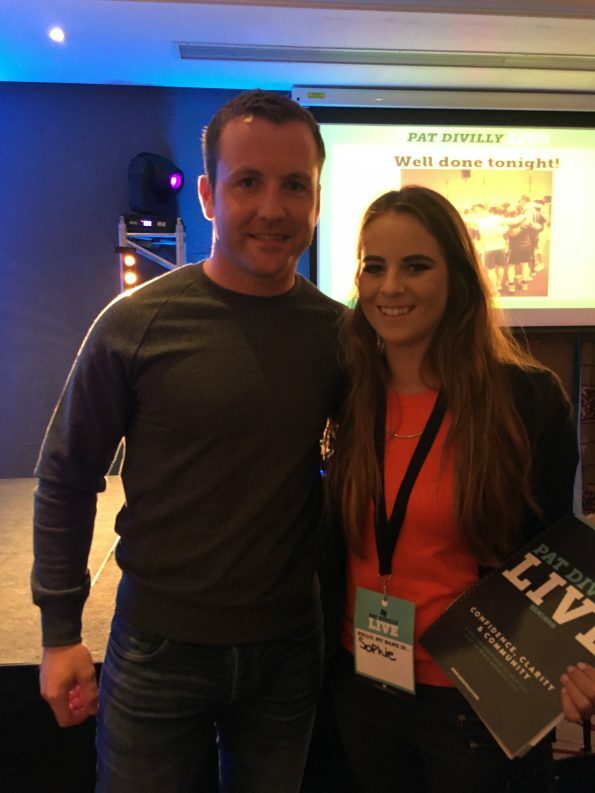 Check out Pats website here for information on future seminars, fitness and food tips. He also has his own podcast!